Q: "What do Landscape Architects do?" 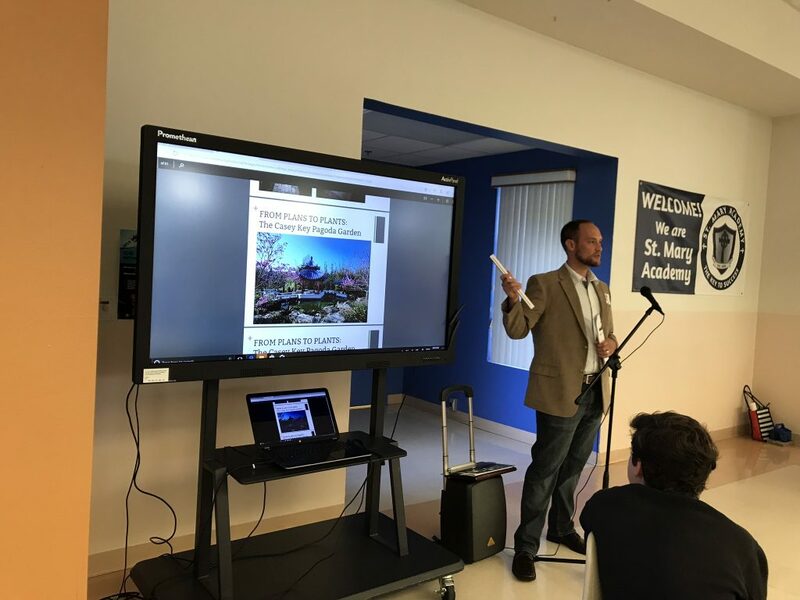 - Michael A. Gilkey, Inc.
We were honored to have been invited to share our passion for landscape architecture with the Pre-K, Kindergarten, 5th and 8th grade classes at St. Martha Catholic School. 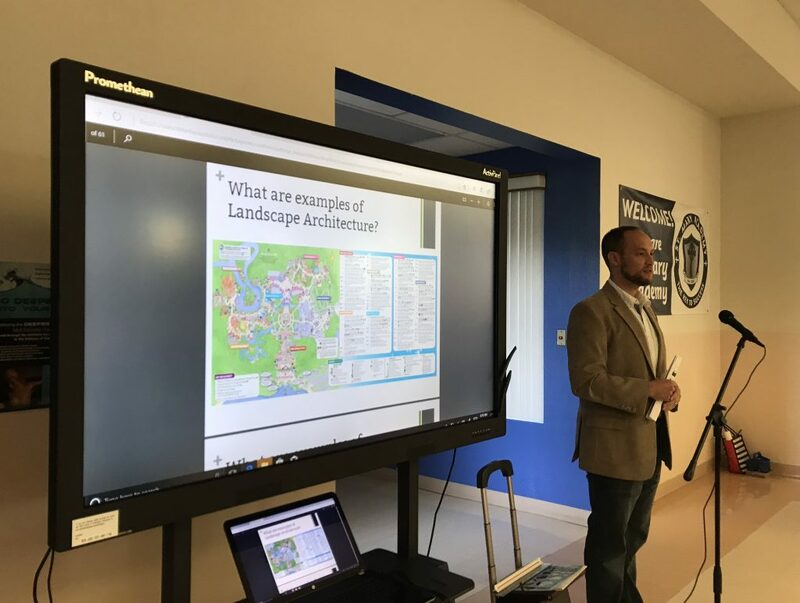 Landscape architect Gavin Cain led the students in a discussion about the profession of landscape architecture and the design process. 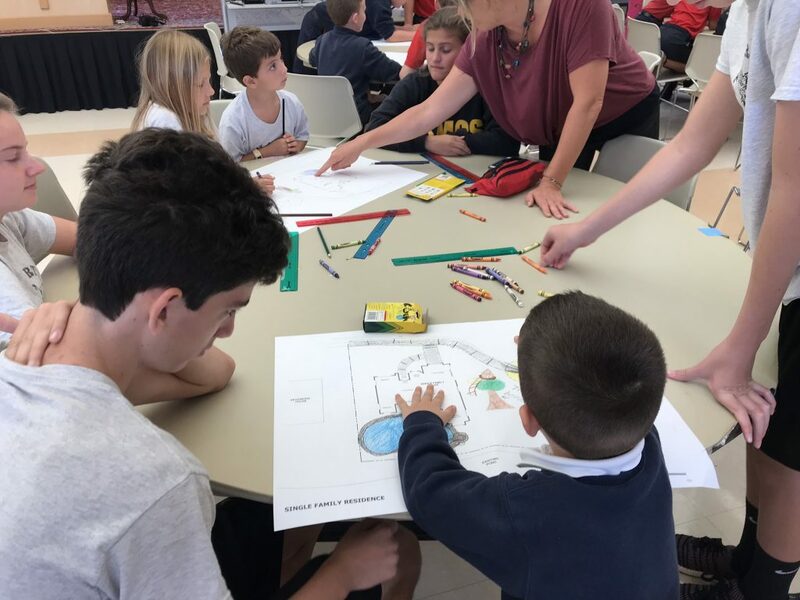 When asked what landscape architects do, one of the school’s youngest students answered, “Landscape architects make things more beautiful.” Is there a finer compliment? 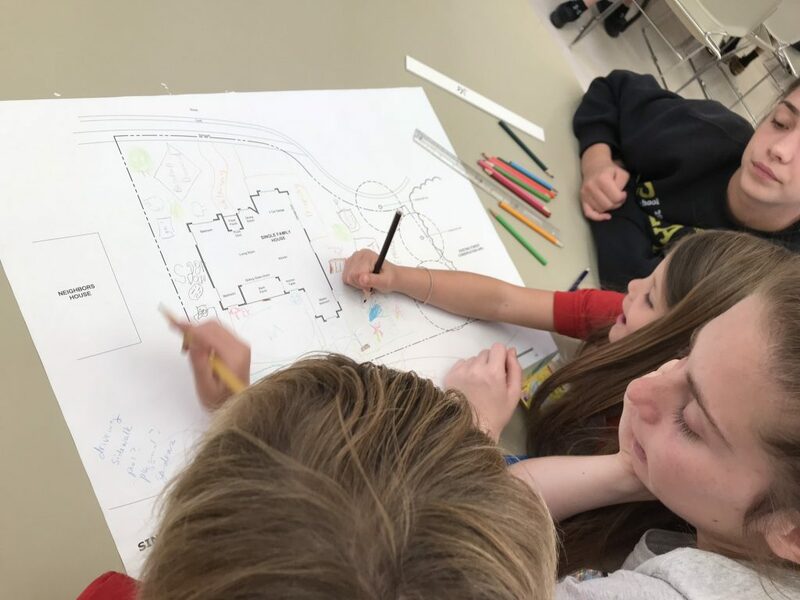 To illustrate the design process further, Gavin showed the students the progression of sketches and drawings that led to the final plan for the award-winning Casey Key Pagoda Garden. He followed the drawings with images of the construction process and finally, the finished space. Finally, it was the students’ turn to try their hands at design in a collaborative charrette. We provided the students with base plans for a simple residence. 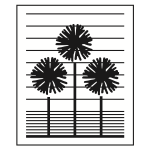 We asked them to work in teams of four to establish a program for the space, which included a driveway, a walkway, and any other elements they’d like to include. It was such a treat to watch the students bounce ideas off of each other, and finish the exercise with plans they were proud of. 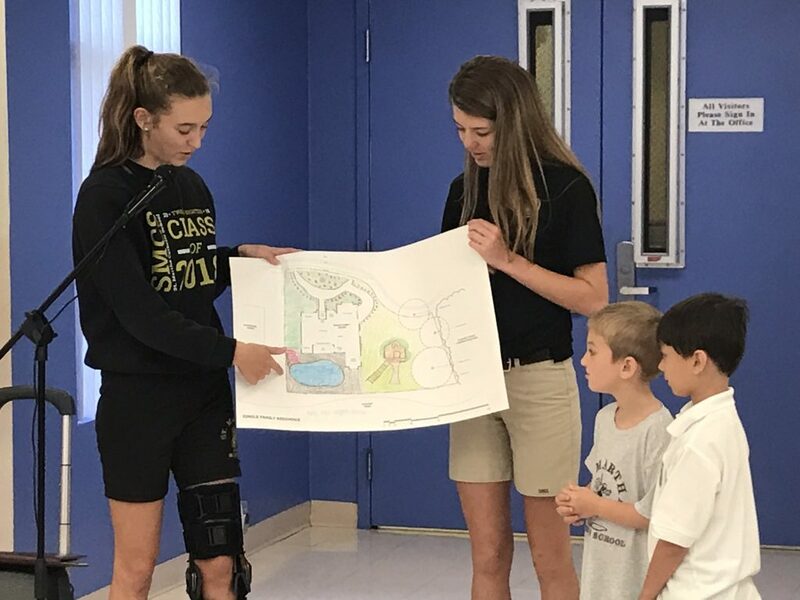 Three groups presented their designs, which included elements such as swimming pools, swirly slides, treehouses, conservatories and prayer gardens. Other students incorporated basketball courts, baseball fields, birdhouses, trampolines, and many more creative ideas–even an outdoor library, a bowling alley, and a helicopter landing area! 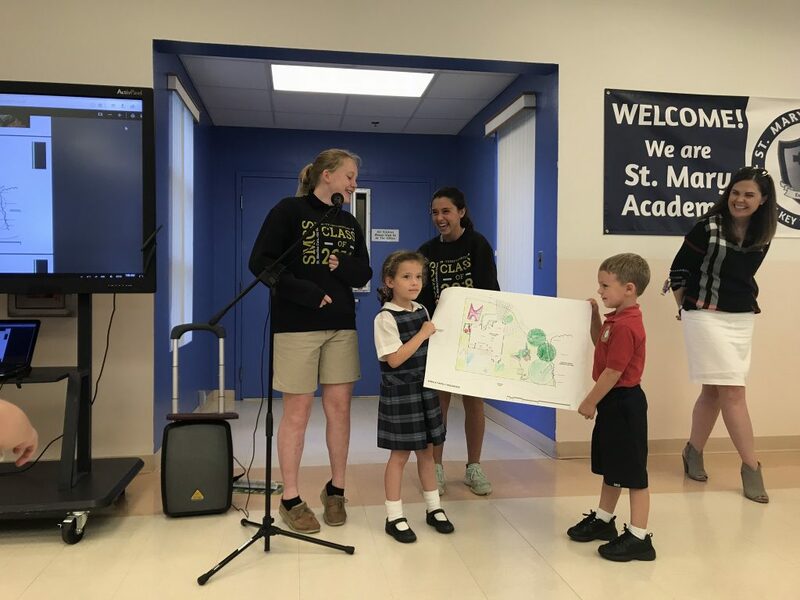 Working with the students of St. Martha Catholic School was a great way for us to continue our celebration of Landscape Architecture Month (#WLAM2018). Their creativity, imagination, and respect for the collaborative process was inspirational. They asked excellent questions (“Did you go to college to be a landscape architect?” and “What kind of software do you use?”), and we wouldn’t be a bit surprised to see a few of these faces in our profession in the years to come. Thank you, St. Martha Catholic School!